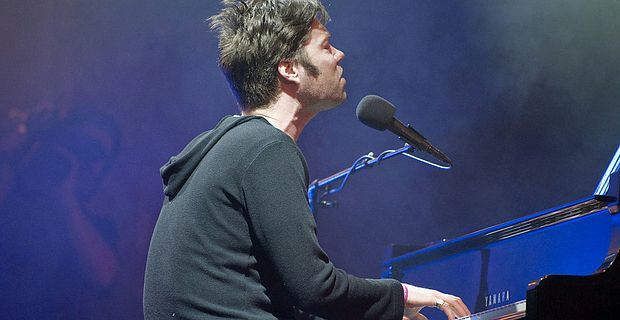 Singer-songwriter Rufus Wainwright is planning a musical biopic loosely based on his own life. Wainwright, whose career has been an extended exercise in self-dramatisation, told Rolling Stone about his plans for the musical, entitled The Great White Way. "It's loosely based on my life – very, very loose," he said. "Perhaps it's more of a kind of mythic Rufus that he's trying to create. It stems from some of my past glories and tragic endings, but it's by no means a biography of me or anything. We're really early in that process." Wainwright is working with theatre director Enda Walsh on the show, which will feature songs drawn from Wainwright’s back catalogue. Wainwright has aired plenty of his family secrets in public in the past. His relationship with his songwriter father Loudon, his folk singer mother Kate McGarrigle and singer sister Martha Wainwright have all been alluded to in songs from various family members. Wainwright also has a sentimental fondness for camp Broadway musicals, as the title suggests. A few years back he performed a series of intimate shows in which he seemed almost to be channelling Judy Garland. The Great White Way may take some time in gestation, as Wainwright’s touring schedule is keeping him busy in 2012 with major tours in Europe and North America. The shows reflect the lighter, upbeat tunes that featured on his most recent album, Out Of The Game, which he made with Mark Ronson. "I feel very fortunate that I'm still in the game, even though I'm pretending to be out of it," he said. Who blabbed about the crabs?